When you attend our Sunday morning service, you can expect to find people who are glad that you are here. Help yourself to complimentary freshly brewed coffee in the cafe just inside our entrance.Our dress is casual, our music is contemporary, and our teaching is practical and relevant. We begin our service at 10:30 AM with contemporary worship. Feel free to sit, stand, clap, raise your hands, and sing along as we worship God. Following worship, we like to take a five-minute coffee break so you can get a refill while taking time to meet someone new or say hello to a familiar face. Building community is very important to us and we feel it is a great extension of our worship time. After the coffee break, we transition to our teaching time. 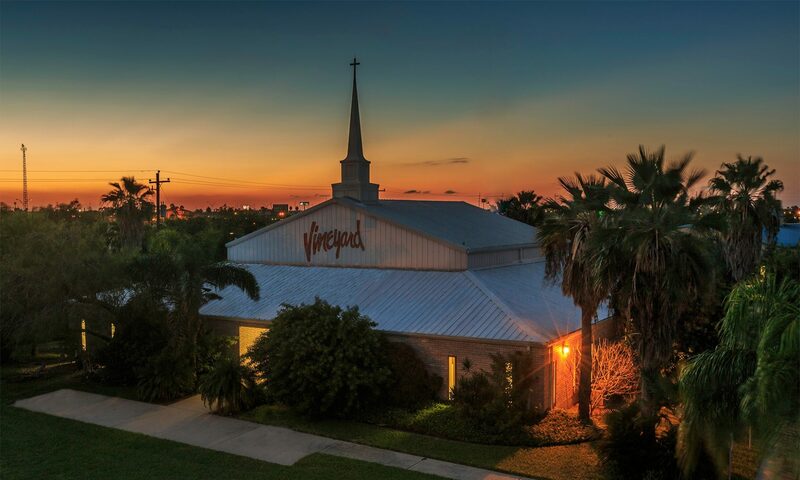 At The Vineyard, we strive to offer biblical teaching that is relevant for today. Each week we conclude our services with opportunities to take another step toward Jesus. As the service dismisses, you can expect to see people hanging out and talking, and people receiving prayer if they have a need.